At last I hear you cry! I know, I know. I had wanted to post about these utterly gorgeous yarns last week, but hey-ho things don't always go according to plan, do they!? 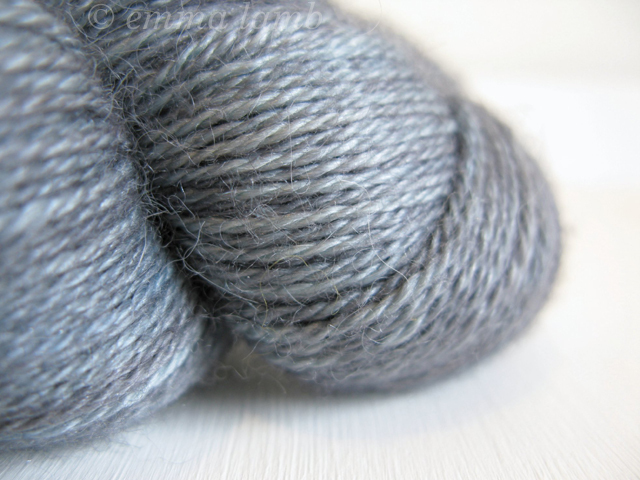 Anyhow, I've divided this post into two so I don't have to scale down my images and so that you can get a better look at these beautiful yarns. Also, if you click on any of the images it will take you over to my Ravelry pages where you can see more details (and pictures!) and find links off to each of the designers pages. Okay, let's dive into a pile of squishy yarny goodness shall we!? 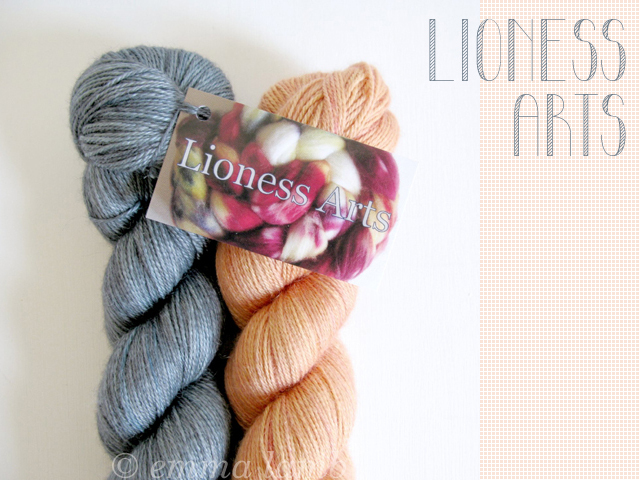 First up is Lioness Arts and two skeins of Dani's Exquisite Sock yarn, one in Silhouette and one in Hestia. I am completely in love with the delicate colour variations in each of these, hints of steel blue in the Silhouette and snippets of ripe peach in Hestia. 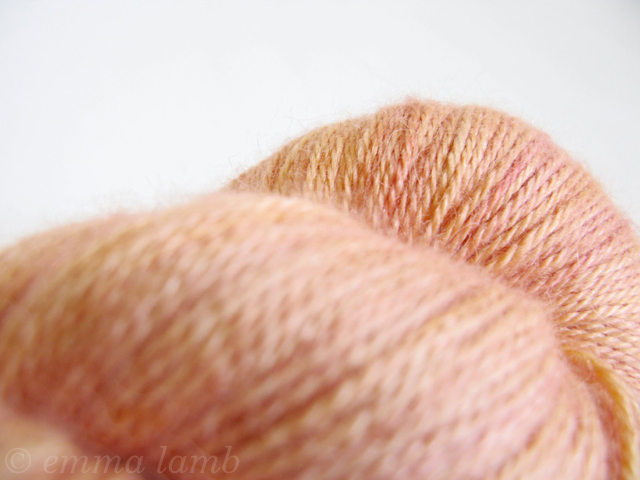 Oh, these are truly beautiful yarns! 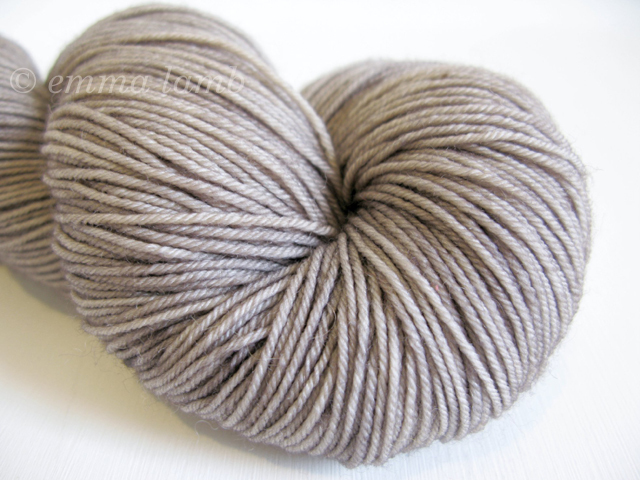 They are a blend of gorgeous alpaca, silk and cashmere and utterly delicious to the touch. I don't have pattern in mind for these yet but am thinking a shawl or scarf is an absolute must! 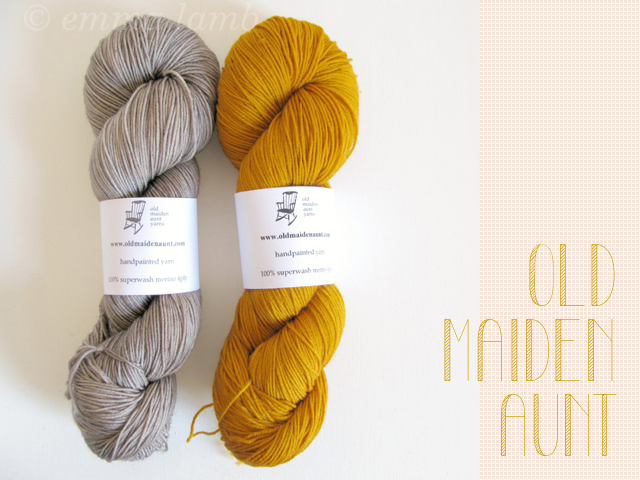 Next is Old Maiden Aunt and some of Lilith's fabulous vintage style colours, these two were my absolute favourites. Buttermint is the most delicious shade of vintage mustard and Greige is somewhere between grey and beige (hence the name Greige! 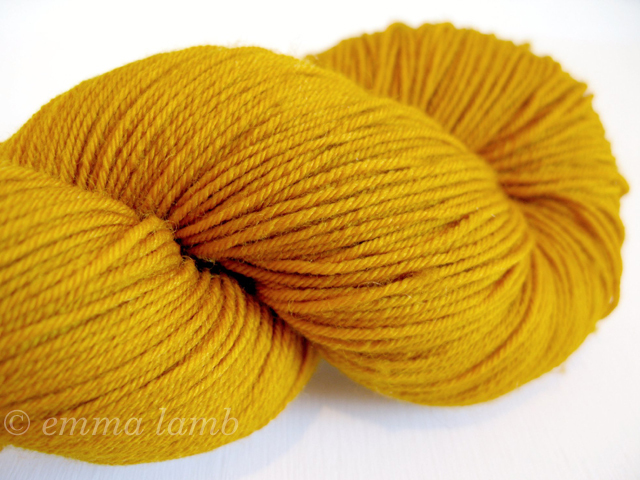 ), both are a Merino Superwash 4ply. I already have a couple of shawl ideas planned for these, but I'm impatiently waiting until I've completed some other projects before I start these. Aren't they all utterly gorgeous!? I'll be back a wee bit later today with the rest of my haul, see you soon! Oh, and if you missed them you can see all my pictures from the Edinburgh Yarn Festival here and here. Beautiful yarns ... I used to run a yarn store in the states and I sure miss being around all that yarn yummieness! I think Old Maiden Aunt is close to irresistible for the name alone!